Federal Way Mirror Male Athlete of the Week for Feb. 1 is Decatur freshman Jack Springer. Decatur freshman heading to West Central Districts in 200 IM, 500 freestyle, and 100 backstroke. 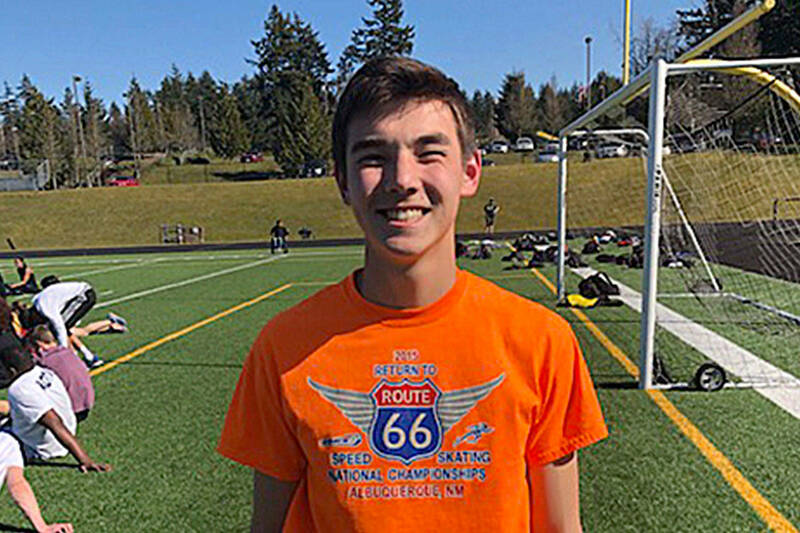 Decatur High School’s Jack Springer, boys swim, was selected as the Federal Way Mirror Male Athlete of the Week for Feb. 1. A: My favorite subject is English. A: I enjoy kayaking, fishing, and hanging out with friends. A: My dad and coaches. A: Not necessarily, I just go with the flow. A: “Giant” by Calvin Harris. From the sideline: During his freshman year, Jack Springer has made an immediate impact on the Decatur boys swim program. He brings to the team several years of experience as an age group swimmer with KING Aquatic Club. Jack has qualified for three events in the West Central District Championship meet. During the season, he has established these standards in the 200 yard Individual Medley, 500 yard freestyle, and 100 yard backstroke. Jack also competed on one of Decatur’s relay teams at the North Puget Sound League Championship meet.